Just a brief reminder that the current season of solemnities is not quite finished with today’s Octave Day of Easter. Since it was impeded by Good Friday this year, the feast of the Annunciation is transferred to the next free day in both forms of the Roman Rite, which is tomorrow, April 4th. 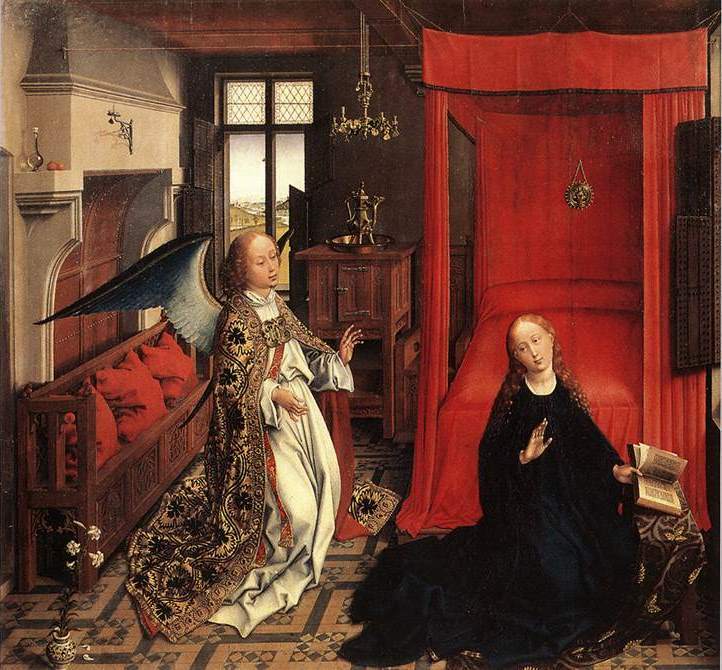 The Annunciation, by Rogier van der Weyden, ca 1435.